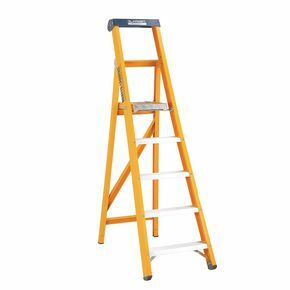 Glass fibre steps are brilliant for industrial use because of their non-conductive nature, even allowing you to work near electric cables etc. Our heavy duty kite marked glass fibre platform steps will allow you to work to your full potential without having to worry about your safety. They comply with BS EN131, the Electricity Boards Standard ESI 13-1 and ANSI 14-5; giving you confidence that these are steps you can rely on to help you complete your work. Their slip-resistant feet keep the steps steady on slippery surfaces, while the 85mm deep serrated treads act as extra underfoot grip to give the user added safety. 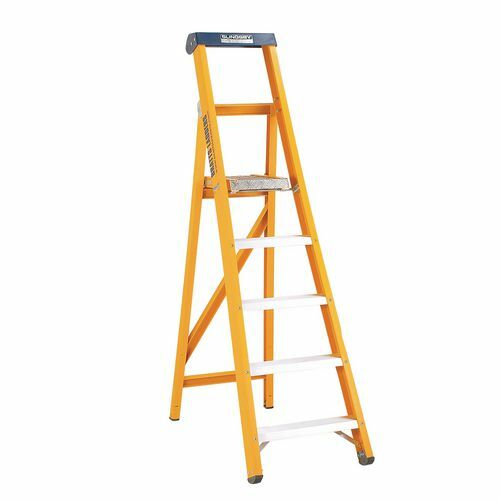 There is a tool holder set in the top of the steps, allowing you to work safely without having to constantly go up or down the ladder for tools to carry out work. 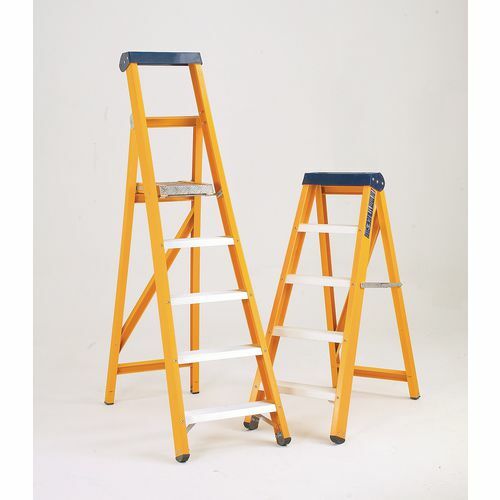 Our heavy duty kite marked glass fibre platform steps are the perfect for helping you carry out your work safely - they are available in a choice of seven platform heights; 930mm, 1180mm, 1430mm, 1680mm, 1930mm, 2180mm and 2430mm. Our products have a 12 month guarantee and FREE UK Delivery.